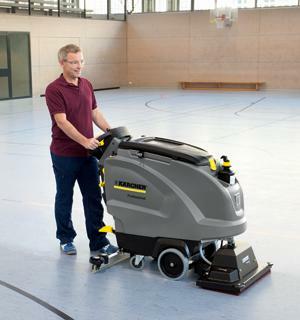 Kärcher Commercial supplies high-performance, reliable and easy-to-operate floor care machines to users in the cleaning business, industry and trades. We develop machines that feature previously unheard-of ergonomics, compact design and mobility, which relieves the user and opens up new areas of application. 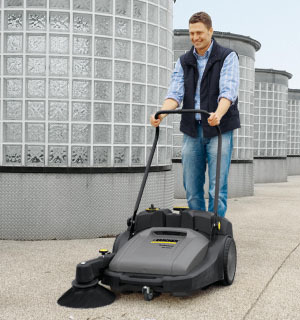 Commercial Floor Scrubbers - Kärcher’s commercial floor scrubbers are essential to cleaning professionals. Ideal for optimal cleaning and maintenance of both hard and resilient surfaces, they cover everything from deep cleaning to regular maintenance and achieve perfect results on the surface as well as at the edges. 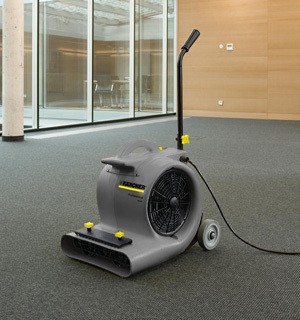 Commercial Carpet Extractors - Kärcher’s line of self-contained extractors offers superior cleaning performance and innovative technology in durable, easy-to-use designs. Each ergonomically designed BRC unit features simplified controls to help insure professional results. 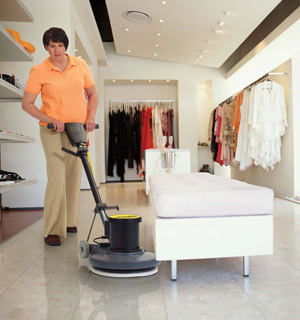 Additionally each BRC unit can be combined with optional accessories for spot, stair and furniture cleaning. Commercial Vacuums - Kärcher’s commercial vacuums offer a broad range of machines that meet the high demands of daily operation in terms of performance, durability and easy operating features. Low noise level: Silenced motors and optimal flow channels have allowed Kärcher standard vacuums to reduce operational noise levels. HEPA quality: Kärcher’s 6-stage filter system with HEPA filters decreases the potential for suffering allergies. Kärcher fleece filters are capable of taking in more than twice as much dust as the typical paper filter bags and have a 10% higher retention rate. Commercial Specialty Machines - Time is money – this is especially true in commercial cleaning. The more reliable and flexible the machine, the higher the cleaning power. 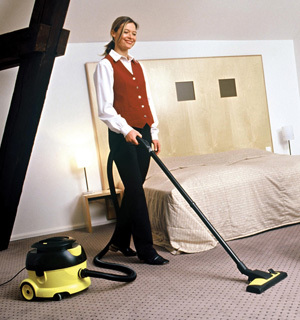 Kärcher’s steam cleaner and air blower are quick and easy to use making them economical for commercial use. Commerical Floor Machines & Burnishers - Kärcher offers the right floor machine or burnisher whether you want a scrubber, polisher, sander, stripper or deep cleaner. We provide machines for all special and all-purpose applications. Built to endure the rigorous demand of commercial cleaning with rugged construction and durable, time-tested components and utilizing cast aluminum housings rather than poly or stamped frames. Commercial Sweepers - Kärcher’s commercial-duty sweepers are designed for quick, efficient, effortless removal of dirt and dust. From manual push sweepers for quick clean-ups and daily maintenance to automatic ride-on sweepers ideal for large areas inside and out, Kärcher sweepers impress with their perfect cleaning results.